Robinwood Nursery began with one plant—Fuchsia magellanica—and only 25 gallons of it in 1991. Initially visualized as a perennial nursery with a low summer water theme, the plant list gradually expanded to include ornamental grasses, shrubs from the southern hemisphere, small rare trees, then Northwest and American natives, and Japanese maples. In 2010, the plant list included more than 250 different genera. We strive to continue keeping our plant list interesting and desirable as we keep our ears open for new species and varieties. 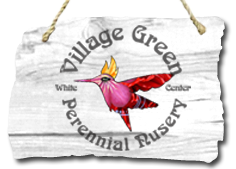 We endeavor to respond to the northwest program of the Elizabeth Carey Miller Botanical Garden “Great Plant Picks” (GPP) list and also the national program of “Proven Winners” (PW) that continue to fit our low summer water plant requirement. We have had to step outside of a strict low summer water attribute to include more Pacific Northwest natives and Japanese maples, but recommend clustering these plants in areas that periodic irrigation could be applied during the driest months. We also provide custom propagation of Hardy Fuchsias with orders in July/August and delivery in April the following year. Custom propagation is available upon request of many items on our plant list if it falls outside the patented list. 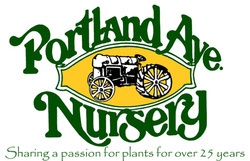 A lead time of 1 year is required for most plants. 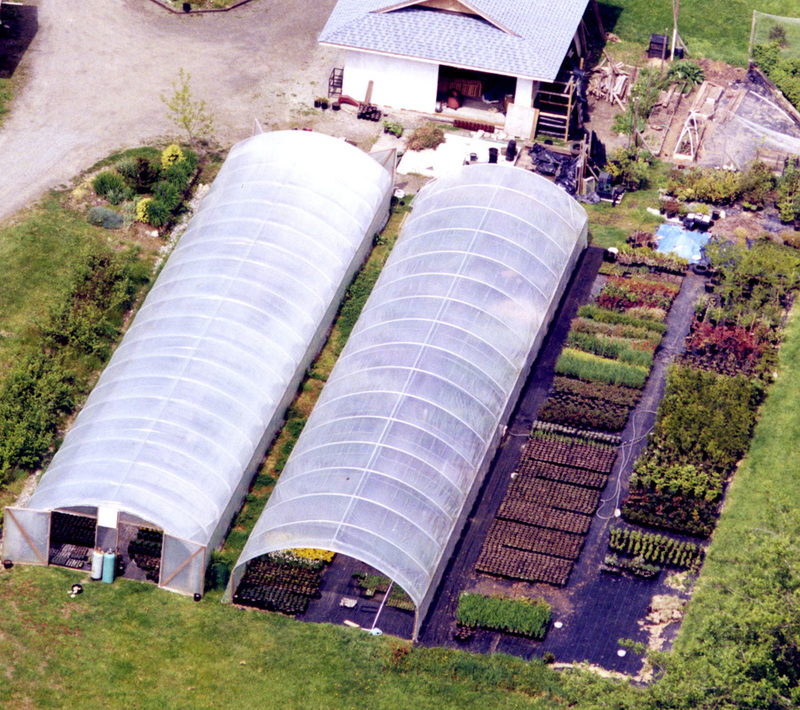 To obtain further insights into Robinwood Nursery, read our article in the B&B, the official publication of Washington State Nursery & Landscape Association, October 2011, page 14: “Robinwood Nursery…off the beaten path…on Vashon Island.” Or, contact us. 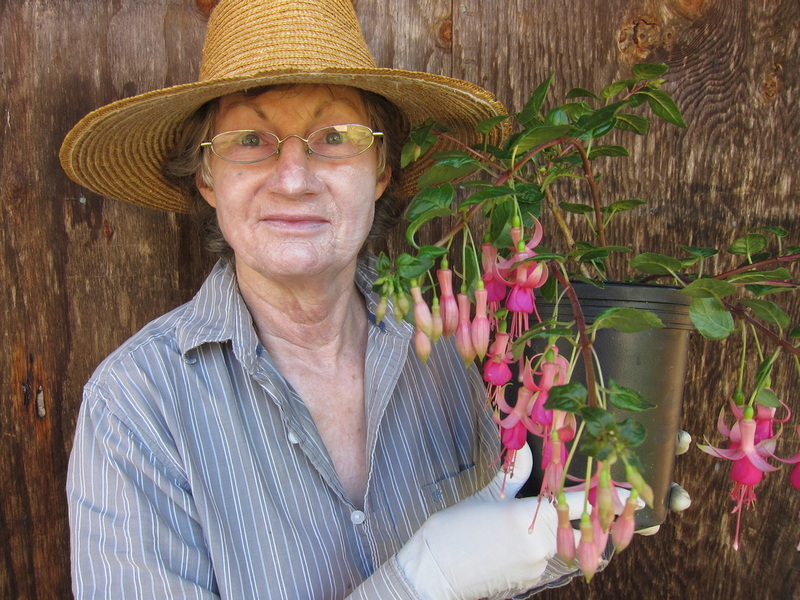 Carole Lynn holding our very own variety of Fuchsia, "Robinwood Pink"